Business cards and brochures, large format scanning, digital art and more. Imagic offers a complete array of digital design, printing and scanning services for consumers and small-to-medium sized businesses in Albuquerque and around the world. We can design and print anything from a business card to a brochure, a book, or a billboard! Logos are our specialty! Our scanning services include digitizing 35mm, medium and large format slides and negatives as well as scanning large artwork and fragile prints on our large format, flatbed scanners. We even scan microfilm and X-Rays! Photo editing and retouching is our heritage and we excel in product and fine art photography and high quality photographic prints. We can design your company logo, business cards, brochures and website. We can do everything from updating your resume to transferring those old home videos onto DVDs. Please take a minute to browse through our site. We encourage you to ask questions if there is something that you don’t understand or especially if you don’t see what you want. Remember, this site only gives a brief overview of our services and solutions. Professional quality, fast turn around, excellent rates . . . .
let Imagic be your Service Bureau. 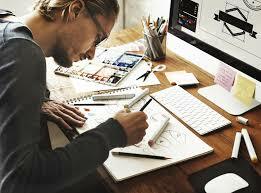 Imagic serves the business community, photographers, graphic designers and private consumers. Below is a brief overview of our services. If your project is related to photography, printing or graphic design, our expert staff can give you the direction, advice and attention you need. Imagic is a full-service printer. We print business cards, brochures, stationery, flyers and specialty items. We pride ourselves on high quality, low prices and quick turn-around. Well-designed, professionally printed marketing materials serve as an effective leave-behind tool when approaching a customer. We can create brochures, business cards, sales sheets and more that not only visually appeal to an audience, but explain the benefits of your products or services and position your brand properly. Stand out! Be noticed! Dig out those old photographs and let Imagic restore your memories. Want to get your “ex” out of the picture? You’ll be surprised at what our digital artists can do! Oh, and your original is always returned – intact. Imagic can scan your photos, reflective art and transparencies as well as 35mm, 2¼, and large format negatives or positives at very high resolutions . . . up to 48 bit color depth! FLATBED SCANS UP TO 36″ X 48″ for mounted artwork or fragile documents. ALL SCANNING IS DONE LOCALLY IN ALBUQUERQUE, NEW MEXICO. Turn around time is usually 1 hour to 1 day. eCommerce is the future of business. It’s the future of buying and selling, of customer service, of communication, and collaboration. Imagic offers end-to-end eCommerce solutions that deliver the future right now!